When Bluebird Productions in Aspen approached us to collaborate on a Black Swan themed styled shoot - with a ballerina from the Aspen Santa Fe Ballet as the model - we immediately thought of the Galia Lahav Moonstruck collection of gorgeous black gowns. A couple of emails later, and the Neptune gown, with a sheer embroidered bodice and a lush layered tulle skirt, was flown directly from Los Angeles to Aspen for the shoot. 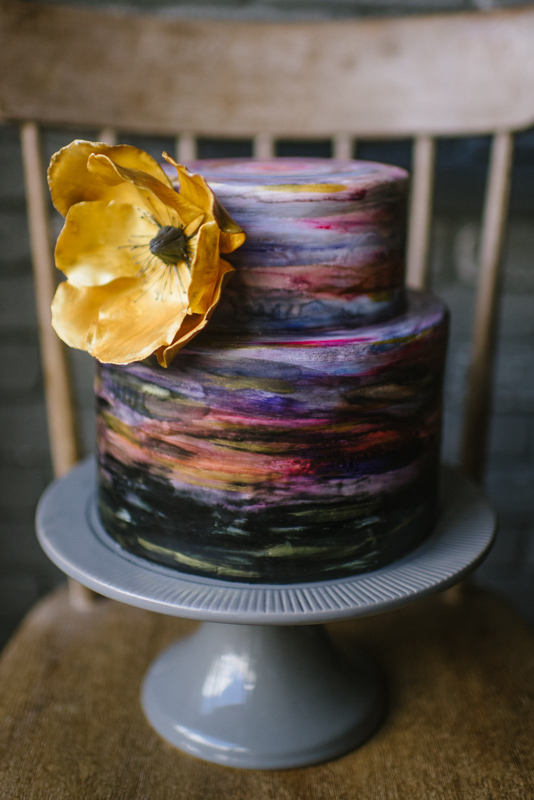 Add to that the effortlessly luxe vibe that Aspen is known for - with details like stunning florals, a painted cake, and venue Grey Lady Aspen - all captured beautifully by Andy Barnhart. The result: moody, high-fashion inspiration for brides seeking something a bit different for their wedding day. We always encourage brides to choose the gown that they truly love and to take risks if it feels right. And sometimes, a dramatic black gown is oh-so-right. Enjoy a look at this wonderful collaboration with a team of Aspen's best wedding pros! And take a peek at more from this shoot, featured on Grey Likes Weddings.